We here at Preserve the Beartooth Front are pleased to announce the first recipient of the Rex Tillerson Fracking Hypocrite Award. The Award is a 160-foot water tower, engraved with Rex Tillerson’s photo, delivered to the recipient’s front yard. You remember Rex. He’s the CEO of Exxon who publicly complained that “dysfunctional regulation of hydraulic fracturing is holding back the American economic recovery, growth and global competitiveness,” and then joined with his neighbors in a lawsuit to block construction of a large water tower, used to support fracking operations, next to his Texas home. 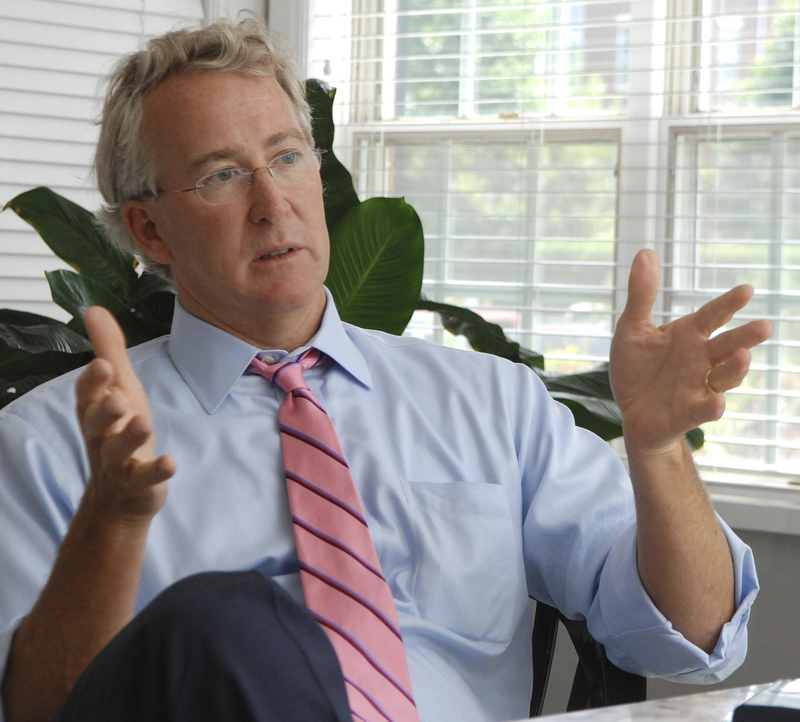 McClendon earned riches and industry fame when, in 2008, he rescued Chesapeake from disaster. After extreme leverage, aggressive financing and plunging oil and gas prices had combined to crush Chesapeake shares by 80%, McClendon executed a series of deft maneuvers to not only pull the company from the brink of disaster, but elevate it to new heights. How did he do it? According to ProPublica, McClendon raised nearly $5 billion by gouging rural landowners out of royalty payments they were supposed to receive in exchange for allowing the company to drill on their property. The practice that McClendon invented has now become a common industry practice. In lawsuits in state after state, private landowners have won cases against oil and gas companies for stiffing them on royalties they were due. Federal investigators have repeatedly identified underpayments of royalties for drilling on federal lands, including a case in which Chesapeake was fined $765,000 for “knowing or willful submission of inaccurate information” last year. Last month, Pennsylvania governor Tom Corbett sent a letter to Chesapeake’s new CEO saying the company’s expense billing “defies logic” and called for the state Attorney General to open an investigation. The victims were landowners in Pennsylvania and elsewhere who leased their land to Chesapeake and saw their hopes of cashing in on the gas-drilling boom vanish without explanation. “I got the check out of the mail… I saw what the gross was,” said Drake, a third-generation Pennsylvania farmer whose monthly royalty payments for the same amount of gas plummeted from $5,300 in July 2012 to $541 last February. This sort of precipitous drop can reflect gyrations in the price of gas. But in this case, Drake’s shrinking check resulted from a corporate decision by Chesapeake to radically reinterpret the terms of the deal it had struck to drill on his land. “If you or I did that we’d be in jail,” Drake said. Find an attorney who can help you negotiate with the landman representing ECA or another oil company. This may not be your family attorney — it should be someone who has experience in surface use agreements. DON’T sign anything the first time it is presented to you and without legal representation. Oil and gas companies are in business for one reason: to make money. Be warned. McClendon just raised $2.2 billion to start a company that will drill on the Utica Shale. He may be here next. This entry was posted in Fracking Information and tagged Aubrey McClendon, Chesapeake Oil, gouging, Mineral rights, monopoly, oil pipelines, Pennsylvania, Rex Tillerson Fracking Hypocrite Award, royalties, surface use agreement. Bookmark the permalink.